August 29 – Pressure on the Kuwait Football Association and National Olympic Committee was elevated on Sunday when a letter from the government warned they must hand over their headquarters or face it being taken “by force”. The letter, issued by the Public Authority for Sports [PAS], was described as including “threat and intimidation”. Soon after it was received, the KFA indicated, police raided the premises for the second time in a month. The dispute between the government-backed PAS and the FIFA and International Olympic Committee-sanctioned sports authorities relates to allegations of financial impropriety, prompting a government decree to dissolve the sports bodies earlier this month. 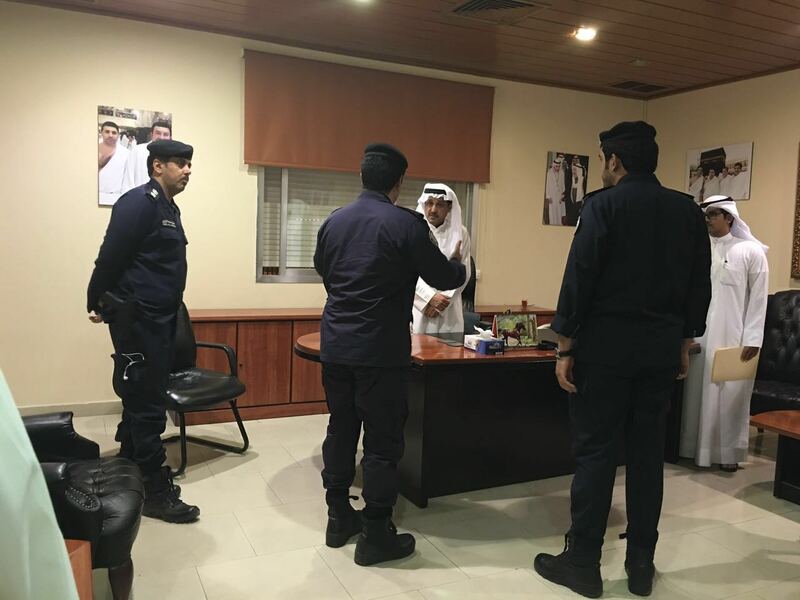 Sunday’s escalation led to Sheikh Talal Al Fahad, who is the president of both the KFA and Kuwait’s NOC, to call on the public prosecutor to bring formal charges through the courts. In a statement, Al Fahad said: “Last May, PAS claimed that there are serious financial violations in the Kuwait NOC,‫ without solid fact and material. Nevertheless, and from the principle of cooperation in order to activate the financial control, we have given them our records in the KFA and responded with all their notes… The referral to the prosecution of those offenses must be done, and not to dissolve KFA, in order to preserve public money and its sanctity. As it is, the government’s non-judicial interventions through laws it introduced last year have led to FIFA and the IOC to ban Kuwait from international competition. However, these suspensions have not deterred the Kuwaiti government from taking more severe action against the national sports authorities. Fahad added: “The law No. 5 of 2007 is unconstitutional, and [the NOC and KFA] got the final sports decisions of CAS and Civil Swiss Court in 2016. “Democracy is a fundamental pillar in all state institutions, and today during the handover process [of the sports HQs], we defended with full force for the rule of law and the justice of order, and we were determined not to give up on what we had by democracy, and we faced tough times in Kuwait Olympic Committee and Kuwait Football Association.